FORMER Rangers defender John Brown insists Ally McCoist will be welcomed back to Ibrox “with open arms”. The club’s record scorer has not been spotted at the ground since his surprise appearance at last month’s general meeting to see the board which axed him as manager swept out of power. The Rangers fans love Ally and I’m sure in time he will be welcomed back at the club with open arms. It was a fleeting visit as the 53-year-old crept into the ground just moments before shareholders gave Dave King’s bid for power their blessing, before hurrying away afterwards. McCoist was removed from the manager’s office back in December as relations with the old board crumbled and has spent the four months since on garden leave. The terms of his contract mean the nine-in-a-row favourite cannot return until his 12-month notice period expires. But Brown insists King’s team will never turn their back on a man who struck 355 goals as a Rangers player - even if his tenure as manager ended in disappointment as Hearts romped towards the Scottish Championship title. The former Dundee manager, himself, was made an outcast under the old regime after criticising directors on the old board but along with former skipper John Grieg, he has now joined King in the directors box for home matches. Brown - helping to promote the Rangers First fans group - said: “I know what Ally went through as manager. I worked under him when Craig Whyte was in charge. “I knew the problems he had dealing with Whyte and things never improved after that. “If you don’t have the man at the top of the tree working with you then it is always going to be a hard shift. It proved to be that way and it took its toll on Ally. “But the Rangers fans love Ally and I’m sure in time he will be welcomed back at the club with open arms. “People can criticise the football played at the time but remember, he was dealing with the worst board in Rangers’ history. To work under those circumstances must be difficult. “Ally will be back in there at some stage and I know it will be sooner rather than later. Brown was a long-term critic of former chief executive Charles Green and the men who followed him onto the board. But he has no issue with King becoming the club’s new ruler. The Johannesburg-based businessman has delayed his coronation as chairman while he tries to prove to the Scottish Football Association he is fit and proper. But Brown said: “Dave has got Rangers at heart. He’s got money to put into the club - Rangers need that money. “Whatever happens at the SFA happens. But I think Dave would be good for Rangers, especially with the guys he has brought with him such as the Three Bears and the money he will generate for the club. “Dave has bought the shares and put his money up, so he should be given the opportunity to take up the chairmanship. “The previous board took tens of millions of pounds out the club and I would like to see SFA think long and hard. One of the new board’s first acts was to appoint Stuart McCall as interim manager until the end of the season. 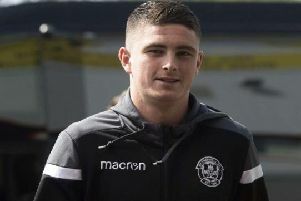 Brown believes his former Ibrox team-mate should keep the job full-time - but he does not think Rangers should even contemplate hanging around in the second-tier for another season if they can help it. He said: “Stuart has done great and given himself a great opportunity of getting the job. I hope he gets it. “Rangers are a massive club, the biggest in Scotland. They need Premiership football. They have been out of the top division for too long. “The simple answer is that Rangers need to be back up there now. “Rangers will challenge Celtic if they get back into the Premier League.